Did you know that, in 2017, over 62 million Americans will receive approximately $955 billion in Social Security benefits? If have you are retired or contemplating retirement (or have clients who are), part of your social security benefits may be taxable. For most elderly Americans, Social Security is the major source of income that they live off of. As a retiree, keeping as much of the monthly benefit will help ease financial burdens. However, there is a balance between meeting your needs and paying taxes that are owed on your benefit. This article is meant to address the taxation of social security benefits and help you determine if you should withhold a portion of your monthly benefits for taxes. Social security benefits is broad terminology that includes the monthly retirement benefit, disability, and survivor benefits paid by the Social Security Administration (SSA). It also includes tier 1 benefits received from the Railroad Retirement Board (RRB). Tier 1 railroad benefits are benefits that a railroad employee or beneficiary would have been entitled to receive under the social security system. Therefore, for tax purposes, they are treated in the same manner as social security benefits. When social security benefits are mentioned in this article, it is meant to include all of the above mentioned benefits. Therefore, social security benefits does not include supplemental security income (SSI) payments. The SSI program pays benefits to disabled adults and children who have limited income and resources. My hypothetical clients, Jack and Mary, live a simple life. They met and got married later in life. Jack has no children and Mary has a daughter, Sara, aged 9, from a prior relationship. They live in an apartment and enjoy traveling together. Jack is 57 years old and works at Potter and Potter. Barring any unforeseen circumstances, Jack’s plan is to work until full retirement age. Outside of social security, Jack has no retirement savings. 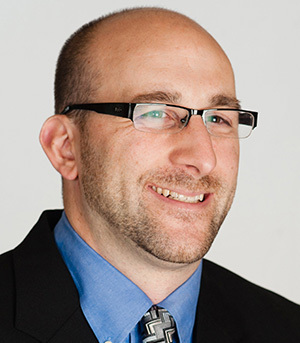 Jack earns $90,000 a year as a project manager and has $2,500 of tax-exempt interest. Jack has family health insurance coverage through his employer. Mary is 56 years old, currently works as a police dispatcher, and does not have any retirement savings. Mary earns $43,500 a year. Lately, Mary has not been feeling well. Her doctor told her that she has ulcerative colitis and her symptoms are flaring up. In the past, Mary’s colitis has caused her to miss work for weeks at a time. Although Mary’s employer has been very understanding of her condition, Mary feels fatigued and worn out missing chunks of her shift due to her condition. After discussing her condition with Jack and her doctor, all believe it is in Mary’s best interest to stop working and apply for social security disability. Mary’s last day of work was May 2014. She applied for benefits in the same month. Mary was denied benefits in February 2015. On average, sixty four percent of applicants are denied social security disability with their initial application. Mary, now 59 years old and having been out of work for three years, was awarded disability benefits in June 2017, after her appeal was won. As a result of not receiving benefits when they were applied for, Mary is entitled to a lump sum payout of her back disability payments. In addition, as a result of Mary’s disability, Sara, was awarded social security benefits. Based off Jack and Mary’s income, Mary and Sara did not qualify for SSI benefits. If they had benefited, SSI benefits are not taxable. Jack and Mary are concerned about their income taxes. The social security representative told them that their disability benefits may be taxable. Jack and Mary are accustomed to receiving tax refunds when they file their tax returns. They are unsure how much, if any, of the disability payments are taxable and how this will impact their tax return. And what about Sara’s disability? Does this get included on their income tax return? If they are going to owe money, they don’t want to be surprised when they file their tax return, so they come to you, their accountant, for advice. Mary and Sara’s lump sum benefit payout represents retroactive disability payments spanning from tax year 2014 to 2017. A lump sum retroactive benefit is normally treated as a social security benefit for the year in which it is received, and not for the year to which it is attributed. This may be disadvantageous if a smaller portion of the benefits would have been subject to tax if taken into account in the year the benefits should have been received. The zero base amount for spouses that cohabitate prevents spouses who have approximately equal income from reducing the amount of benefits subject to tax simply by filing separate tax returns. In order to qualify as living apart, the husband and spouse must have separate abodes. Having separate bedrooms or being temporary absent from the home due to travel, illness, education, business, vacation, or military service is irrelevant. In regards to Sara’s lump sum benefit, that benefit belongs to Sara and is not reported on Jack and Mary’s tax return. Sara has the legal right to the benefits, not Mary. In other words, if Mary had no children, she would not receive the additional money that is for Sara’s benefit. In accordance with IRS Publication 915, “benefits are included in the taxable income of the person who has the legal right to receive the benefits.” Therefore, testing needs to be done to see how much, if any, of Sara’s benefit will be taxed to her, which may necessitate the filing of a tax return for Sara. The maximum amount of taxable social security benefits is 85% of the gross benefit received. In order to reach the maximum includible amount, the taxpayer’s social security benefit plus other income must exceed the adjusted base amount in exhibit 1 above. Since there are two base amounts to test against, there is a two tier calculation to determine how much of the social security benefit needs to be included in gross income. The amount of the deduction for higher education expenses (for 2016, Form 1040, line 34). The modified AGI calculation is determined without regard to the social security benefits received and the deduction for interest on qualified education loans. The modified AGI calculated above. At this point, Jack and Mary know that a portion of the social security benefits that Mary received will be subject to taxation. The tier 2 calculation will determine this amount. 12 Enter the smaller of line #10 or line #11. Whereas the tier 1 calculation tested the social security benefits against a fifty percent threshold, the tier 2 calculation calculates the social security benefits against an eighty five percent threshold. In Jack and Mary’s case, since eighty five percent of their social security benefit received was less than eighty five percent of their total income, the maximum allowable amount of the social security benefit is subject to taxation. The $6,000 payment for the attorney representing Mary during the appeals process is made directly from Social Security to the attorney on record. Legal fees incurred in connection with the collection of social security benefits qualify as an expense incurred in the production of income and, are deductible to the extent the benefits are included in income. The expense may only be claimed as a miscellaneous itemized deduction, which are deductible only to the extent the legal fees exceed two-percent of the taxpayer’s AGI. Of the $90,850 that Jack and Mary received, only $51,765 will be subject to taxation. However, the calculation thus far is taxing the amount of the lump sum payment in the year received. As previously mentioned, this may be disadvantageous if a smaller portion of the benefits would have been subject to tax if taken into account for the earlier year, when the benefits should have been received. Because of this inequity, the taxpayer may elect to include in gross income the total amount that would have been included in gross income in the appropriate years if the underpayments had been received when due. If the election is made, a taxpayer recomputes the taxable part of benefits for the year to which the payment relates, using Year 1 income and including the lump sum payment. The taxpayer then deducts any taxable benefits that were previously reported for Year 1. The remainder is the taxable part of the lump-sum payment. This is added to the taxable part of the recipient’s benefits for the current tax year (Year 2), figured without the lump sum payment. As a result, the taxable benefits attributable to Year 1 are included in the taxpayer’s income for Year 2, so the taxpayer does not need to file an amended return for Year 1. Within IRS Publication 915, the IRS provides worksheets for taxpayers to use to calculate whether they should elect to attribute retroactive benefits to a prior tax year. The election is made by adding an “LSE” designation to relevant lines on the tax return for the year the lump sum benefits were received. Once the election is made, it cannot be revoked without the consent of the IRS. 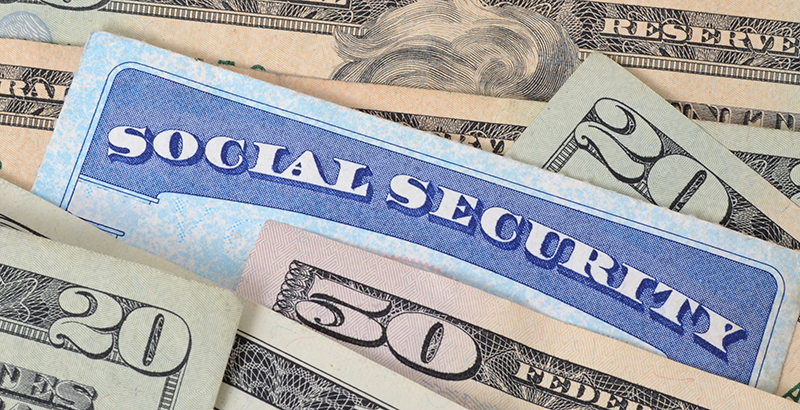 Social security benefits are generally not subject to federal income tax withholding. Social security recipients can ask to have federal income tax withheld from their benefits. If the recipient decides not to voluntarily have federal income tax withheld, there may be a need for the taxpayer to file quarterly estimates. The taxpayer options for voluntary withholding must specify one of the following withholding percentages: 7%, 10%, 15%, or 25%. This request is made on Form W-4V. Calculation assumes a flat rate payout over a number of years; however, social security benefits are indexed for inflation adjustments.